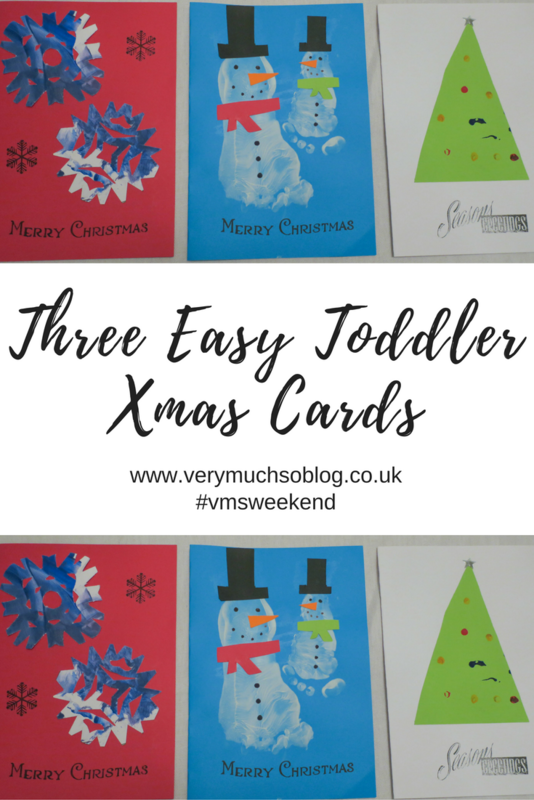 It’s been a few weeks since I last posted a Something for the Weekend but I’m back with three super easy, toddler friendly Christmas cards. Since Lyra was born I’ve loved sending handmade Christmas cards to our close family. This is the first year that Lyra has been able to really join in with the crafting though. Lyra is two and a half now but these crafts could easily be adapted to suit both younger and older children. 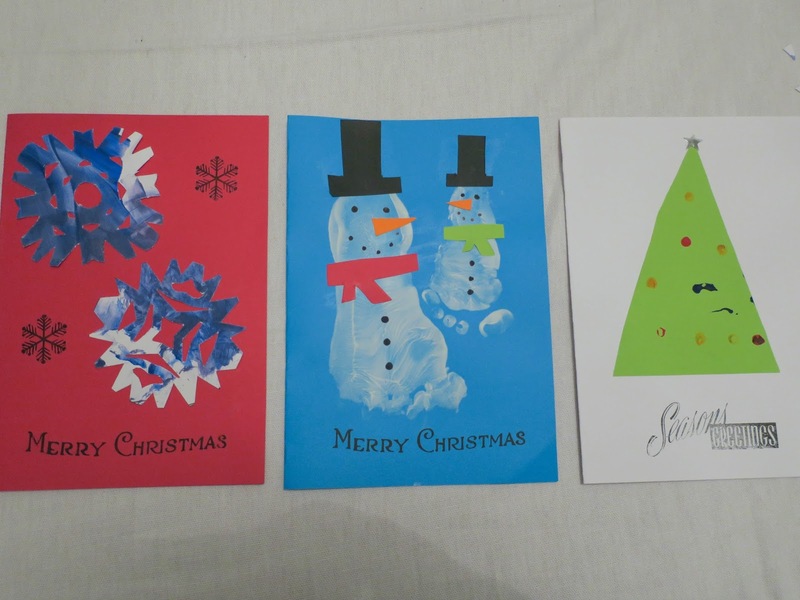 So, here we are, three toddler Christmas card crafts. 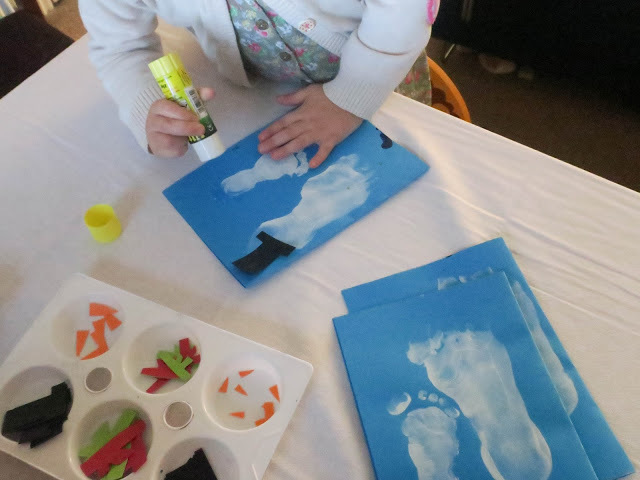 Paint your child’s foot white and then press it on to coloured card. Lyra stood and pushed her own foot down but it was easier with Athena (who’s six months old) to have her sat on one of our laps and then for us to push the card on to her foot. Next I cut out simple snowman accessory shapes such as hats, scarves and carrots. You could also cut out stick arms but since we had two ‘snowmen’ there wasn’t room on ours. Let your toddler stick all of the shapes on. We used a glue stick and Lyra loved this bit! Finish it off by drawing on eyes, mouth and ‘buttons’ with a felt tip. If Lyra was a little older I would have let her do this bit but if I’m honest I’d grown too attached to the snowmen at this point to let her scribble all over them. And she would have scribbled for sure. Set out a selection of paint colours and a few small objects that could produce dots. We used cotton buds and straws. Stick the painted triangle on to some folded card and there you have it. 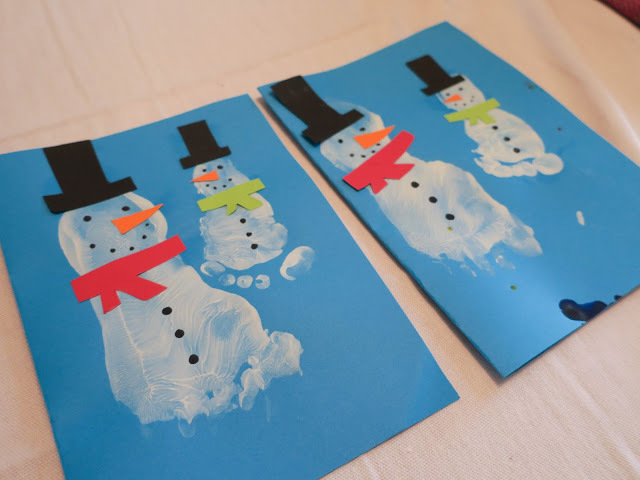 One quick and easy Christmas card! 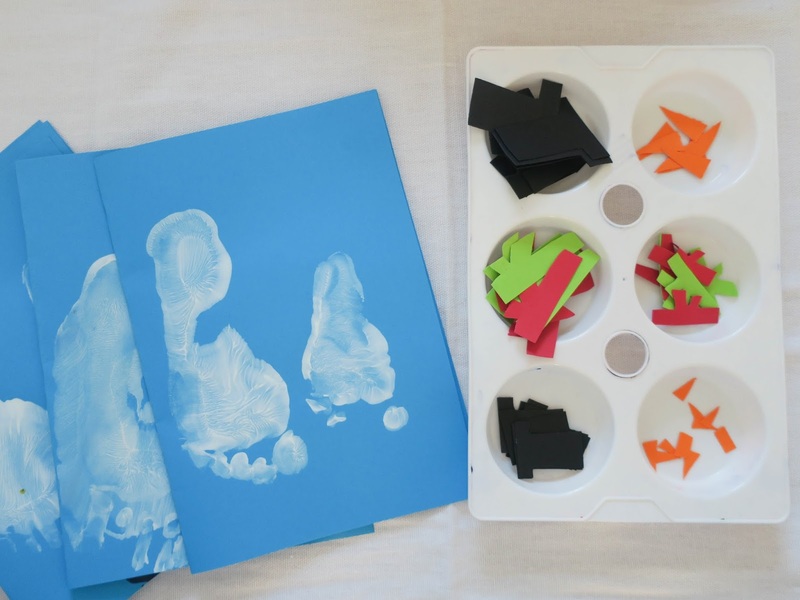 Let your toddler go crazy painting white paper or card. 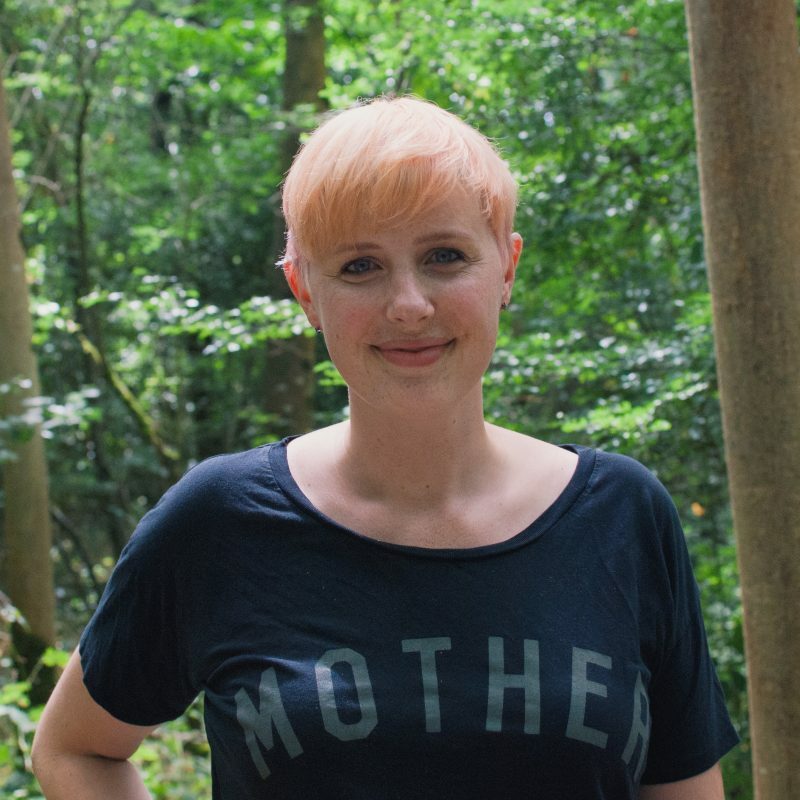 We tried to limit her colour choices to blues and purples so that when she inevitably mixed it all together it was still a reasonably pleasant colour. Once the paint has dried cut circles from it. Fold the circle in half, half again and then once more. Cut a few shapes into it, we let Lyra do a few herself but to be honest she got bored pretty quickly. Stick your finished snowflakes onto folded coloured card and that’s it. 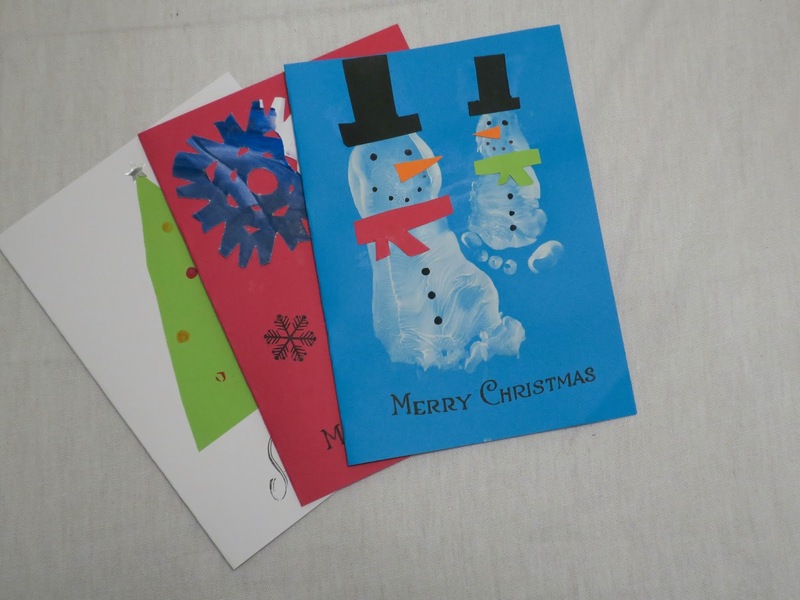 We’ve then just finished off all three designs with a festive stamp to wish the receiver a Merry Christmas. If you don’t have a stamp you could just write it on and print something off and stick in down. Or don’t put anything. It’s up to you. And there we have it. Three easy toddler made Christmas cards. Ridiculously easy. I mean, if you enjoy polished, beautiful crafts this may not be for you. But we had lots of fun making them and I’m really happy with the finished products. 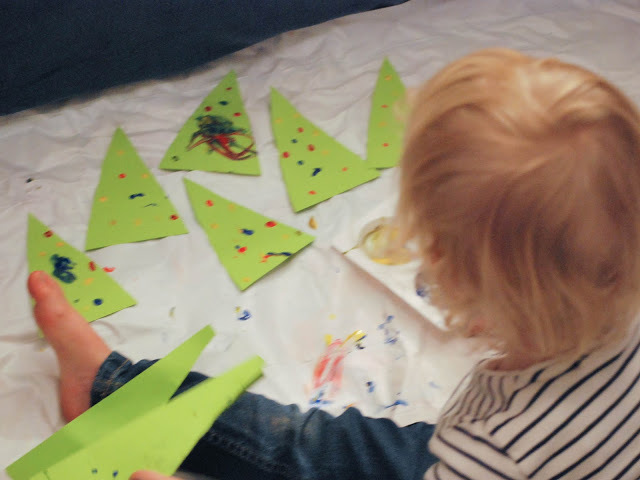 You can see in the video below how much fun Lyra had making them, especially with the paints! If you do make some please tag me on Instagram or Twitter or use the hashtag #vmsweekend as I’d love to see your creations!